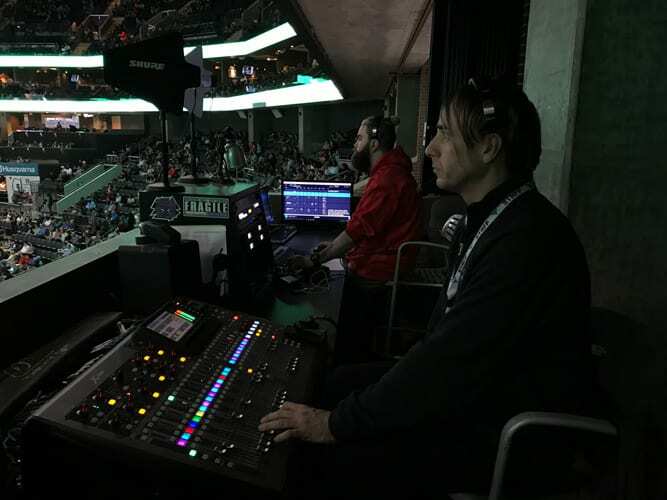 In live event production, the A1 is the primary audio engineer and is responsible for the technical design of the sound system (PA, mics, wireless and more) as well as the live sound mixing for the show. The role of the A1 is critical to a live event production. Historically, audio has played the most primary technical role before lighting and video ever came into play. The skillset and professional experience of an A1 can make or break a show. The role of an A1 leading up to an event? The A1 typically is working on a show weeks out, where he first reviews the sales quotes and confirms that the sound system as quotes is adequate. Any additions including additional speakers, microphones or crew members are identified at this time. 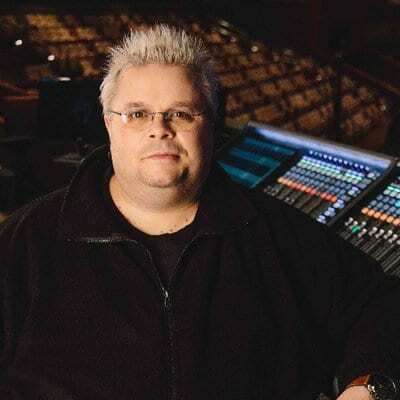 The A1 works with the Technical Director (TD) or the Production Manager to ensure the production schedule has built in enough time for load-in, rigging, sound checks and more. It is often necessary for the A1 to request a "quiet time" during load-in where the room is asked to keep noise minimal as the A1 tests and "rings out the system". The A1 works closely with the A2, the second audio engineer in command. The A2 is located backstage (or off stage) and are coordinating wireless frequencies and placing microphones on presenters / performers. The A1 & A2 always have a dedicated & private com channel where the two can communicate during the show as to who is coming on stage next and what microphones they will be using. What does an A1 doing during show? The A1 mixes the live show from the Front of House (FOH) position. 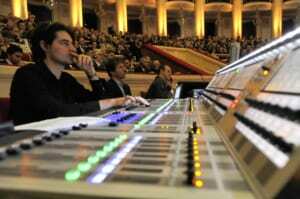 The size and type of audio mixing console is often based on the size of the event and preference of the A1, along with their EQ and other processors. During rehearsals, the A1 is tracking along in their Shoflo (rundown), as the Show Caller advances from item to item. The A1 will be actively taking notes of which mic placement, how the presenter is speaking, adjusting gain, EQ and more and ultimately saving the choices as a scene or preset on the console. This allows for quick adjustments during the show. The A1 is responsible for track playback during the show, often called IRs (Instant Replays) and annotated as such in the Shoflo. These can be triggered by a Instant Replay system or by a playlist on a computer. During the show, the A1 is primarily mixing between live microphones, video playback systems (DDRs or Playback Pro) and IR systems. For strike (load out), the A1 often sticks around and manages the audio department's load out. Sometimes, the A1 will jet out early and leave the A2 to manage the strike.